Shelbyville native Melinda Hardin joins Torrey Smith Realty Company with a passion for sharing her love of the community with others and a heart for investing in projects that preserve its heritage and inspire its future. Melinda and her husband, Ben Hardin, are owners of Harvest Coffee & Cafe and they have renovated several downtown buildings, including one that serves as their loft home in the heart of Main Street. As an entrepreneur, she embraces a contagious enthusiasm and vision for bringing people together to create something special. With her Realtor’s license hot off the presses, Melinda is eager to better her community by helping others plant roots in Shelby County and connecting home buyers with home sellers. “As Ben began building new homes here in Shelbyville, I became more curious about the people buying them and loved being on the sidelines of that process. Now, I’m thrilled to be on the front line with buyers and sellers. This whole process is very personal and I’m excited about playing an important role in it,” she said.​ ​As a proven self-starter, Melinda said her motivation for trying new things comes naturally. Both her dad and grandfather were involved in real estate and her first job out of college was working in property management in Atlanta. Along with operating Harvest Coffee & Cafe, she teaches an early morning fitness boot camp at the Family Activity Center. She holds a degree in English from the University of Kentucky, a Master’s Degree in Holistic Wellness and several exercise certifications. She embodies an endless zeal for learning new things. In addition to trying out delicious recipes at Harvest, Melinda enjoys singing, creative writing and spending time outdoors with her husband and two daughters, Celia and Annie.​ ​”I believe I bring energy and diligence to anything that I do. Through real estate, I want lock arms with my clients and join them in a partnership. For me, this is an investment in a relationship that’s a blend of both business and personal elements,” she said. 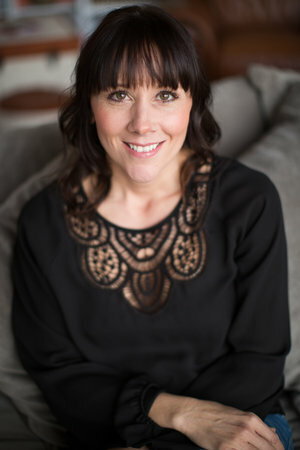 If you want to connect with Melinda, shoot her an email at melinda@smithclick.com or give her a call at 502-655-3535. Better yet, meet up with her for a cup of coffee, a generous dose of enthusiasm and the peace of mind of knowing your home buying/selling needs are in compassionate and hard-working hands.